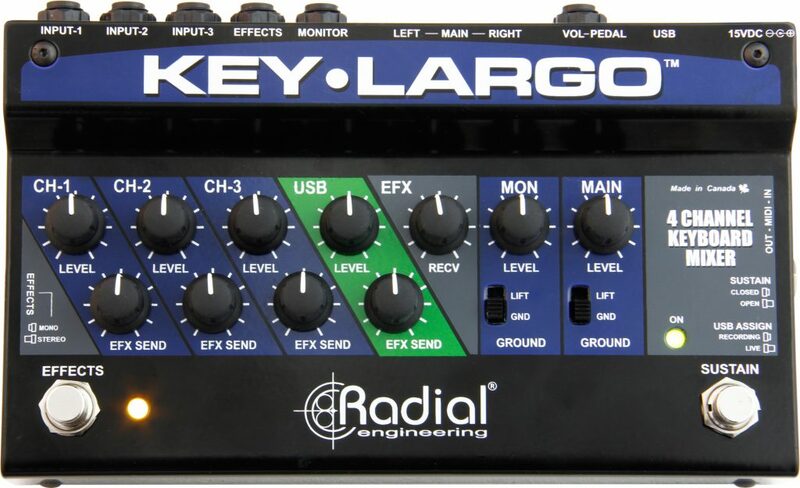 Radial Engineering has announced Key-Largo: a 3-channel mixer and audio interface. 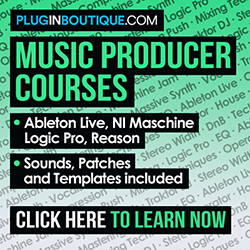 The product is designed for producers, keyboard players and DJs which need to connect multiple keyboards, samplers or drum machines to a PA. 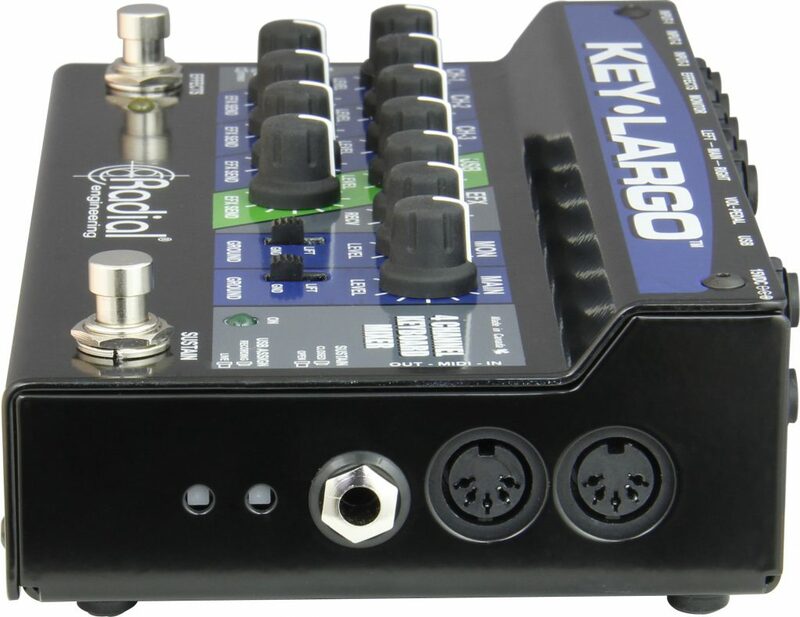 It is also possible to use Key-Largo as a USB interface to use it with computer-based virtual instruments and computer audio. The product comes with TRS analog inputs for connecting up to three stereo or mono hardware instruments on Inputs 1, 2 and 3. There are Send and Receive jacks so that the user can connect their preferred effects processor and add it to any of the inputs. The Monitor outputs will feed a pair of powered speakers for stage monitoring, for example. There are two XLR Main outputs that will feed the PA system. The side panel has 5-pin Midi In/Out jacks so that the user can use a controller to work with soft synths, external MIDI instruments, virtual instruments, DAW, etc. The top panel has knobs to control volume and effects sends for all three channels, as well as the USB channel. There are also volume controls for Monitor and Main Outputs. 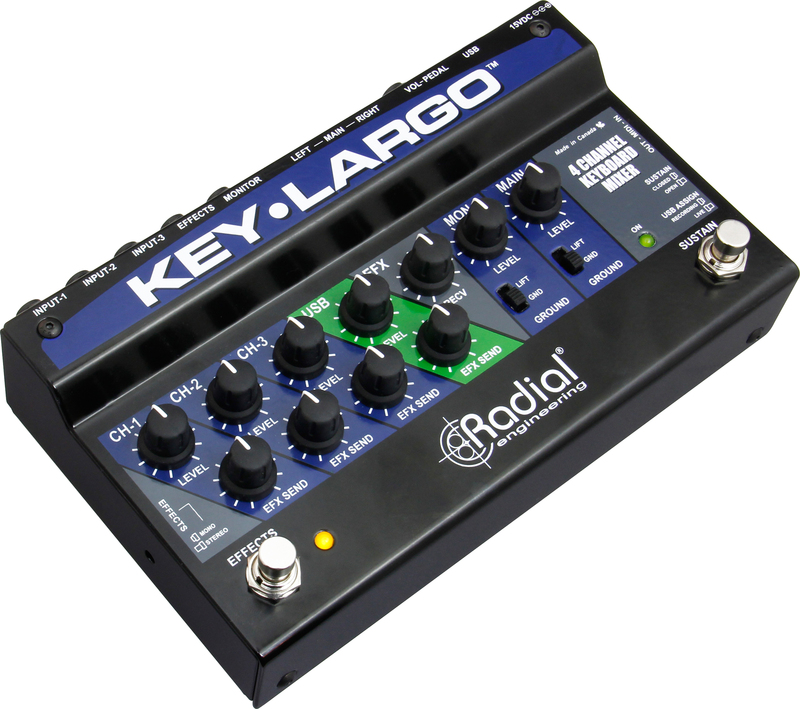 Key-Largo is a good option to connect multiple instruments using a compact and affordable mixer. – Independent volume controls for all channels and outputs.